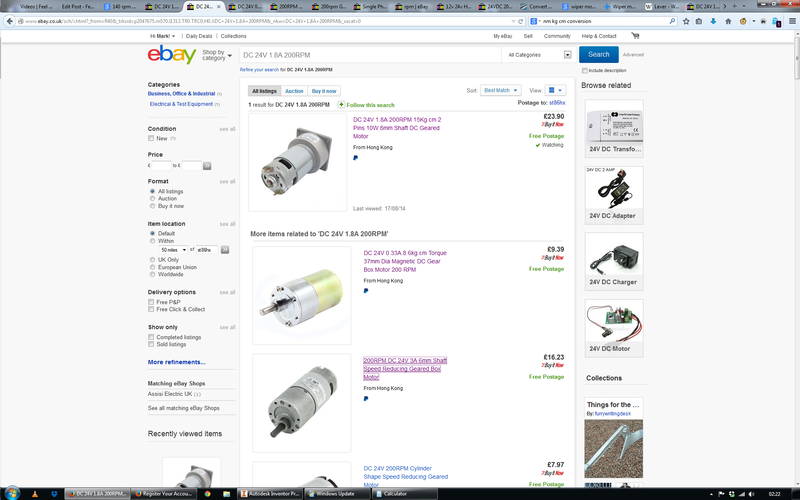 Not many 140rpm motors on ebay and the 160rpm ones drop to 120rpm under load. Quite a few 200rpm ones though and some quite reasonably priced. The one catching my eye is 8.6 kg cm for less than half the price of the 15kg cm one… Now, how many do we need?